One of my family’s all time favorite vacations is a trip we went on two summers ago. That spring I was playing around on the computer, looking at summer vacation options and came across Grand Manan Island. I had never heard of this island before and was curious as to where it was located. It turns out, Grand Manan Island is in New Brunswick Canada off the coast of Maine. It looked beautiful, rural, and rugged with plenty of outdoor activities, perfect for our family! I spent a long time researching our trip and finally came up with a plan. We set off early in the morning on a 12 hour drive north (630 miles). The kids had all been warned that the day would not be fun. I packed food, toys, activities, and little surprises to give along the way and we let them watch two movies, so the day went smoothly. What amazed me the most about the drive was the vastness of Maine. We have been to a few places in Maine but never so far north, it is such a massive state! We finally made it to Canada and actually first spent two days in the town of St. Andrews-by-the-Sea and then headed out to catch the ferry to Grand Manan Island. Grand Manan is about 6 miles out in the Bay of Fundy, so to get there you need to take an hour and a half long ferry ride. 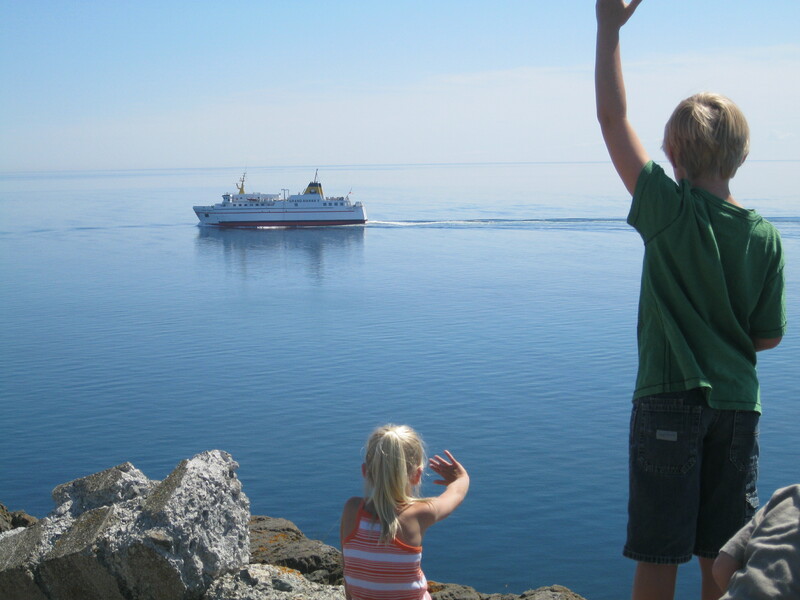 The kids loved the ferry! We sat outside and they had fun exploring the boat and checking out the ocean views. Soon the island came into view, so rugged and wild with jagged cliffs, complete with picturesque lighthouses perched on top. Barely containing excitement, we made our way off the ferry and drove to the house we had rented for the week. There are a number of accommodations on the island from campgrounds to hotels and B and B’s, but we went with a house due to the size of our family. I think the home owner was a little nervous when I first spoke with him on the phone and he heard the ages of our kids, but all went well. Nothing ended up broken, lost, or destroyed; success! The house was right on the water. Well, it was right on the water depending on the time of day because the Bay of Fundy has the highest tides in the world! It was truly amazing to see. I’m used to Jersey Shore tides where the sand castle gets washed away at some point, but these tides range from 19-22 feet or, since it is Canada, 5.8-6.7 meters! We spent our days on the 30km long (see I can do metric!) island exploring every nook and cranny. We visited lighthouses, hiked all over, went whale watching, ate lots of sea food, checked out fishing villages, had picnics by the ocean, stuck a foot in the ocean (and then took it right back out, freezing! ), collected sea glass and smooth white stones from the beaches, visited a few museums and an old sardine factory, and watched both the sunrise and sunset. We loved every minute! 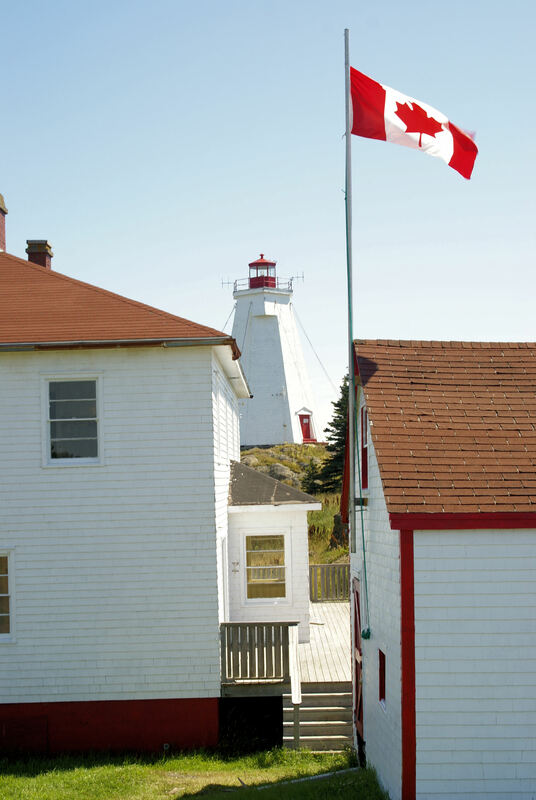 One of our favorite spots was the Southwest Head lighthouse. It was located at the southern-most end of the island, perched on the top of 590 foot cliffs. Our first venture to the lighthouse was magical. The fog was rolling in, up and over the cliffs, the fog horn was blowing, waves wildly crashed far, and I mean far, below us; it was so dramatic! We came back on sunny days as well, but nothing beat that first encounter. 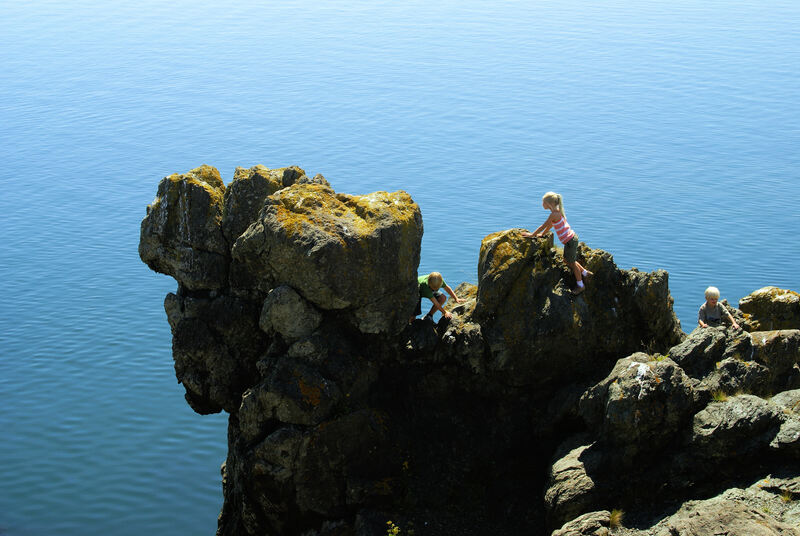 It was one of many places on the island, though, that I kept the littlest kids far, far away from the edge. Refreshingly, there are no guardrails here! Another favorite was the Fish Fluke Lighthouse (aka Grand Harbor lighthouse). On a day filled with clouds and mist after a number of sunny ones, we decided to explore an old decaying lighthouse on small Ross Island which is only accessible at low tide. We drove out and made the short hike to the decaying lighthouse. We were the only people on the tiny island and that, coupled with the clouds and fog, added to the moodiness of the area. We explored around the lighthouse and picked blueberries while the fog horn blew incessantly, buoy bells clanged, and birds called out to each other overhead. All too soon we needed to head back because the tide was beginning to come in. We got back to Grand Manan safely only to discover my oldest son had left his raincoat on Ross Island. It was new for the trip and not cheap; we were going after it! We raced back to the island and over to the lighthouse and search all over, no raincoat! Finally, we gave up and raced back to the passage between the two islands which was now underwater. We have a Yukon but the water was still high! I think I closed my eyes and held my breath the entire time but we made it. Never did find that raincoat! We actually came even closer to losing the truck on the trip. One day we decided to explore Dark Harbour because how can you not explore an area with the name of Dark Harbour! We drove down a steep road to a tiny fishing village shanty town. Another interesting and unique area. On our way back we decided to take a dirt road that led to the interior of the island. My husband drove the truck quite awhile through trees, wondering where we might end up. There were puddles here and there but mainly just dirt until, suddenly, I looked up and there was a wall of brown water washing over the front window. This puddle was more like a lake! My husband did not take his foot off the gas and we somehow made it to the other side. We stopped the truck, jumped out, and saw that the water line was well up the side of the truck. So, we kept going but soon the road came to an end, just ended in the middle of nowhere on this rural island. We would have to go back the way we came! Back we drove to the puddle/lake and knew it had to be crossed. Once again, I closed my eyes and held my breath (probably lifted my feet off the ground as well) and we, once again, just barely made it! One evening we went to watch the sunset. We hiked up to a platform high above the ocean and waited with a dozen or so other people for the sun to set. The sunset was beautiful! My kids decided right then and there that they loved Canada and asked if I knew a song about Canada. I told them the national anthem is called “O Canada” but I did not know all of the words. So, they decided to make up the words to “O Canada”, only the tune turned out to be “O Christmas Tree”. Some of the words were “O Canada, O Canada how can I ever leave thee…” So true! All too soon we found ourselves back on the ferry waving goodbye to Grand Manan Island and promising ourselves that we would be back again one day. 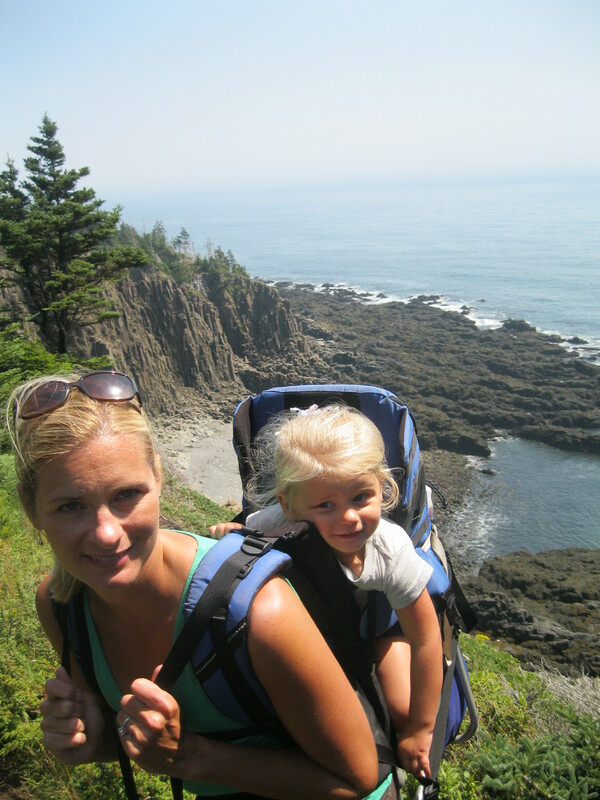 Our time at Grand Manan was amazing. If you are looking for hot days laying on the beach or lots of shopping and people, this is not the place for you. 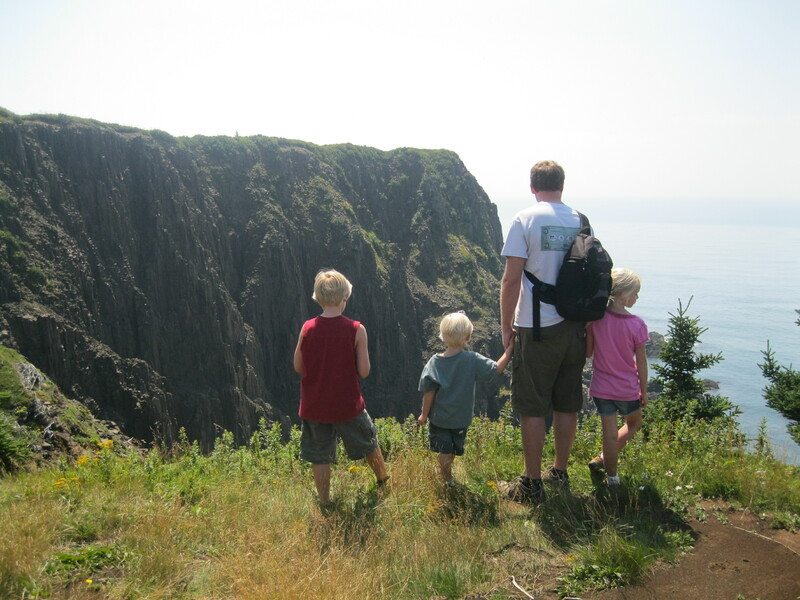 But, if you are looking for a dramatic, rugged, beautiful spot to enjoy nature, then you will absolutely love Grand Manan Island! I am more than happy to provide any additional information about our stay if you are interested. Beautifully written! A wonderful memory that the kids will always cherish! Glad I didn’t know about the high water incident. Some day some of the kids will venture back with their family and be overwhelmed with the wonderful memories you’ve given them! It left me amazed and full of wonderment…and vowing to go back one day. It is truely a magical place! It seems most people find the island by accident! We too hope to go back someday! Like you, my wife and I came to the island by chance after looking at a map. We had visited Newfoundland and Magdalen Island before and loved them, but we were looking for a similar place easier to access. Grand Manan happened to be the right spot, so much so that we ended up buying a cottage there. 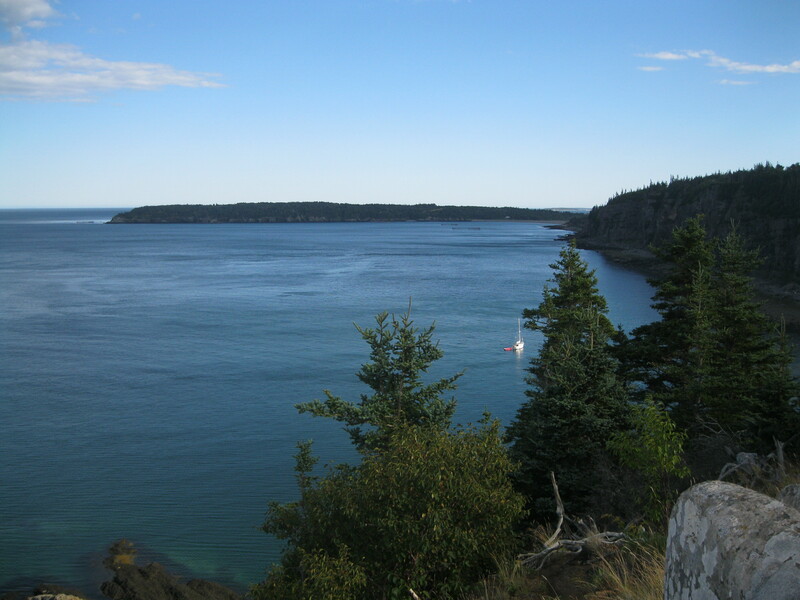 If you follow this link http://ivimarketplace.weebly.com/photos-grand-manan-island.html, you will see some photos of the island, and I guess it will remind you of what you saw there. I love your photos, they are beautiful! 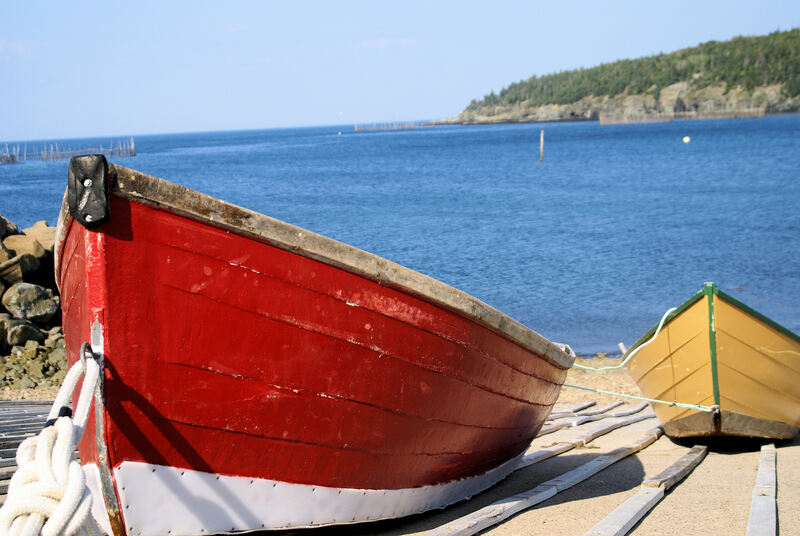 It must be great to have a cottage on Grand Manan, it’s the perfect place to get away to! We hope to go to Newfoundland soon as well, it looks beautiful. Thanks for your comments about my photos and yes, having a place there is wonderful but Newfoundland is beautiful too and if you have a chance when you are there, try Labrador, it is even more remote and wild. 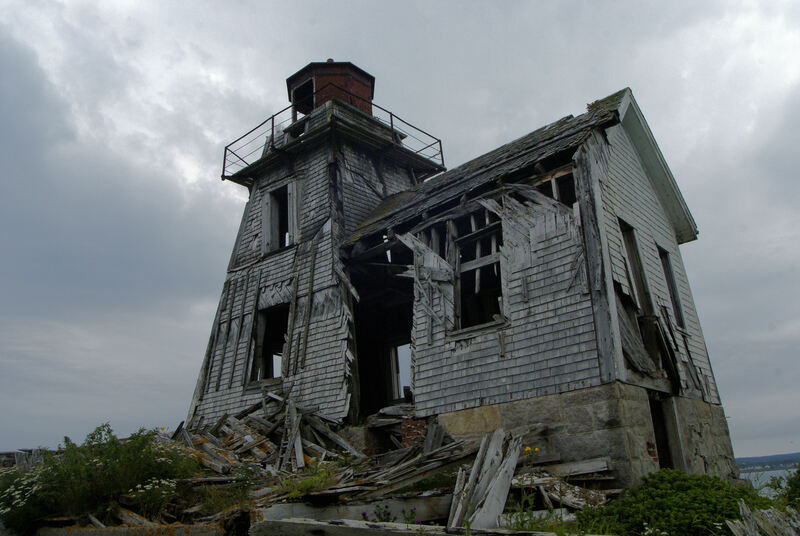 The ross island light house is still standing….barely. So good to hear! We were wondering after hurricane Irene! well as it’s everyday banter between the island residents. There is one fellow in particular, who takes the most fantastic photos..and has placed them in albums,by category for all people to enjoy…His name is Larry Small…check it out folks..
What a wonderfully well written journal about your journey to Grand Manan.I read with great pride,as that is the place of my birth, and where I entend to retire.I’ve been living away for many years and just recently purchased my house to return. Your story really warms my heart,thank you for writting it and sharing your experience with those who have yet to come. Now I can see why this is your most popular post. From the drive, to the ferry, to “breathtaking” rock climbing, that lighthouse! and hiking. Lots of activities, incredible views, and wonderful, amazing ppwell-captured pictures. Really a travel that’s urging us to do it all the same like your family did. A very solid, superb travel post. It was a great trip and great location!